Looking for a Water Front home for sale in Southern California? There are many beach towns along the coast that offers homes that are located next to the water. 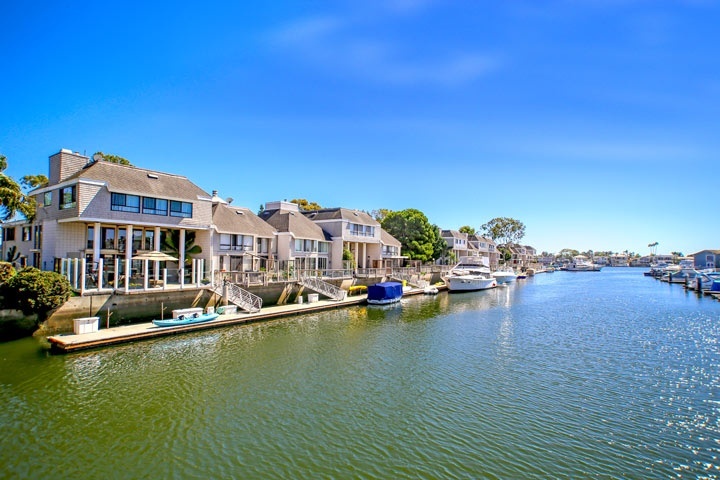 Homes located in Newport Beach have many gated communities that front the Newport Bay and have their own private boat docks. Huntington Beach also has a harbor area with individual islands that offer homes and condos that are located on the water's edge. There are even large cities that have a high concentration of waterfront properties like Marina Del Rey where condos overlooking the Sea. Below is the current list of water front homes for sale and for lease in Southern California. Please contact us at 1-888-990-7111 with questions regarding these communities and any of the homes listed for sale here.